Enjoy a fun night out without the stress of driving. Are you celebrating with friends or family? Our experienced chauffeurs at Carina Ride can transport you and your guests for an enjoyable night out on the town. 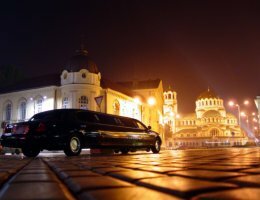 Our chauffeurs are familiar with the best nightclubs, bars, restaurants, and tourist spots in Seattle, Washington, and the surrounding areas. Book a Ride now and enjoy a fun night out without the stress of driving! If you have other inquiries, contact us at 206-319-9196 for assistance.